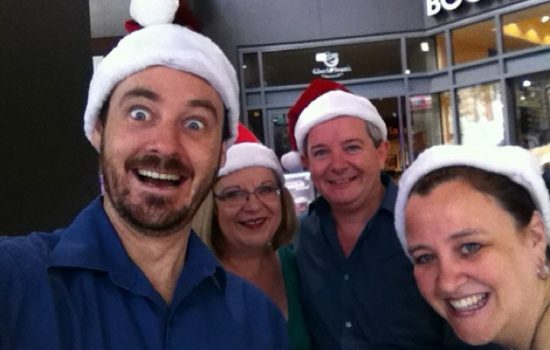 Fancy some Christmas carol singers at your next party? Why send a singing Christmas card when you can send the real thing. 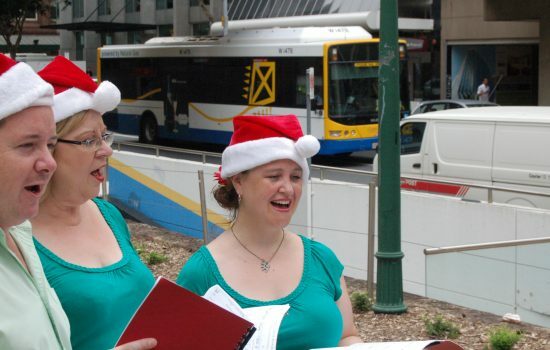 Create the spirit of the season and enjoy the harmonious sounds of some of Brisbane’s finest singers. 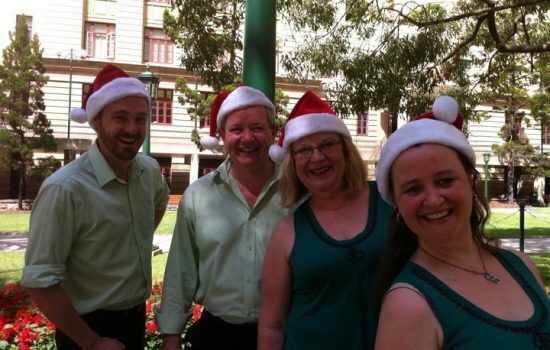 We are a dynamic group of professional, classical singers who are ready to liven up your Christmas festivities, parties, functions or street festivals. 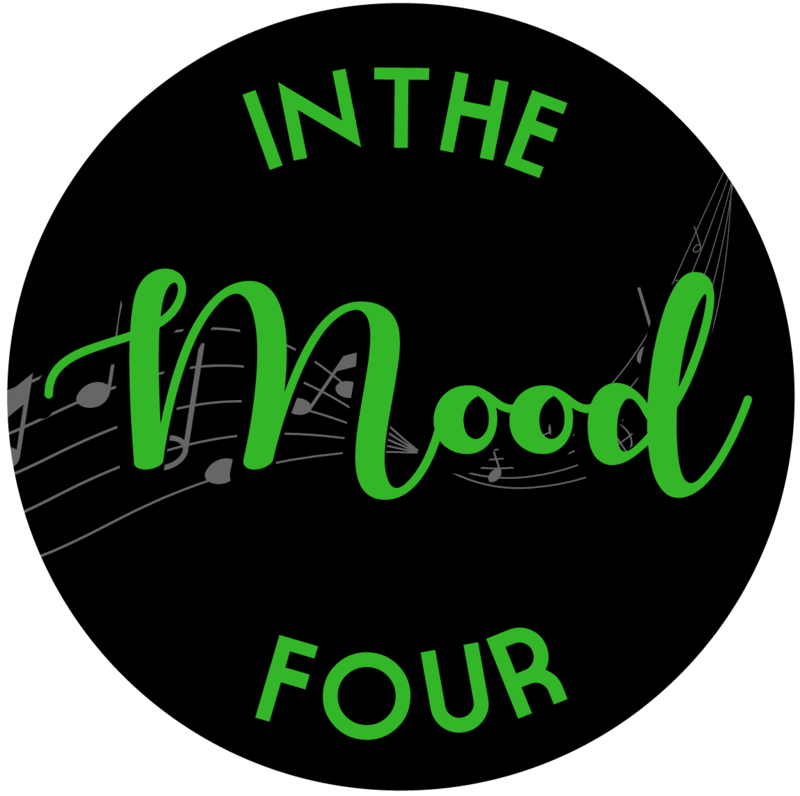 We perform a wide variety of music from traditional to well-loved favourites.